These Weeks in Social Analytics (TWiSA) provides easy to read summaries of recently published articles or studies that have crossed our desks at CyTRAP BlogRank. Not too long ago, Pew published research findings that indicate 62 percent of US Facebook users stay away from the social network for several weeks at a time. While youngsters are not abandoning Facebook, their relationship with the site is complicated (see 6 facts about Facebook – Pew Research). 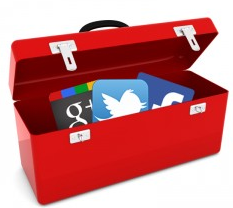 72 percent spend time on Social Networking Sites (SNS) such as Facebook, Ning or LinkedIn. More about the study here (in German). Interested in the next TWiSA? Sign up for our newsletter. This is another great story about how one can use analytics smartly for marketing purposes. Super Bowl ads actually do better than average in ad awareness: 44 percent of people remember they have seen an average Super Bowl ad. Compare this to 32 percent for other ads that get similar gross-rating-point exposure, but those viewing a Super Bowl ad remember the brand only 35 percent of the time versus about half the time for other ads. In short, one limiting factor for Super Bowl commercials is that they tend not to run regularly after the game. Another problem is that brand association sometimes gets lost in the highly entertaining story lines. In other words, you remember the story but forget the brand. The good thing is that people who remember seeing a Super Bowl ad recall the brand. Tidbit: In this study two groups were used, those that saw the ad and those that had not. The researchers surveyed the same individuals pre- and post-game. The only variable was if the person saw the ad or not. John Cannarella and Joshua A. Spechler, two PhD students from the department of mechanical and aerospace engineering at Princeton University got their two minutes of fame. They were using historical Google search query data as a measure to assess Facebook use. The model used to predict this usage pattern follows the one used to predict flu outbreaks and how they spread. To develop their model and test it first, they used data from Google searches regarding MySpace. The latter’s explosive growth and subsequent decline is also predicted with the help of their model. Facebook made a funny attempt at debunking the study. Its data team focused on how the public is losing interest in the university, looking at Google search data that shows a drop for Princeton. Of course, considering that Princeton received 24,498 applicants for its current freshman class and accepted only 7.4 percent of them, this reaffirms its status as one of the top universities in the US. As well, as of September 2013 Facebook had 1.2 billion monthly active users. The suggestions made by the researchers – that it would lose 80 percent of its users by 2015-2017 – seems unlikely. Bottom line: The researchers’ conclusions seem too harsh. For instance, they should have pointed out that around 80 percent of Facebook users visit the site using a smartphone with an App. Such users will not search on Google to find Facebook content, will they? In turn, Google search data may not be a quality indicator of the popularity of Facebook. Users are there because their friends are. Unfortunately, the Facebook team did not provide us with a rebuttal based on what is called great science. As the Facebook analytics group knows, unless content is published as a note on Facebook (under which they published their findings), Google cannot really index the content properly. Nor does such content show properly on Facebook searches. Hence, if you publish good content, do it first on your blog. Thereafter, if you have to, you can also publish it as a note on Facebook so your content can be found through searches. 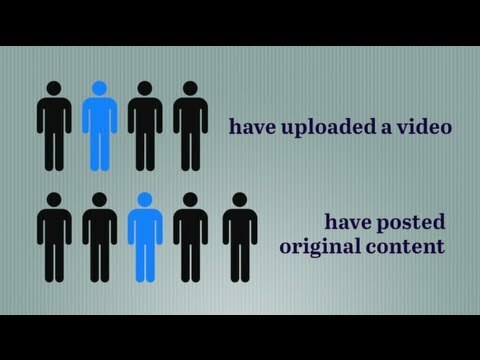 Does the increasing use of online videos affect your business? What are your thoughts on this year’s Super Bowl ads? Are you spending less time on Facebook or visiting less often than you did a year ago? Thanks again for sharing your thoughts and insights, your feedback helps me a great deal – I appreciate it, as always. 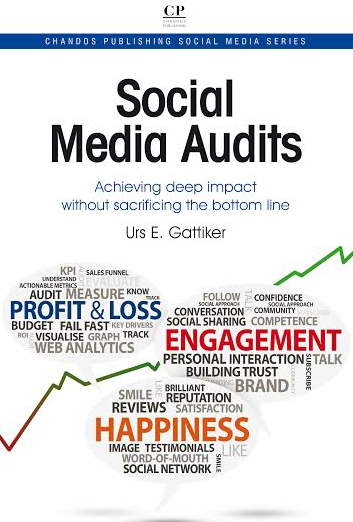 The author: This post was written by social media marketing and strategy expert Urs E. Gattiker. 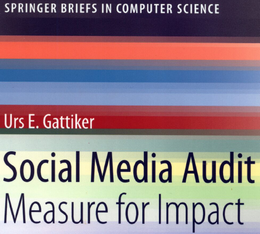 His book, Social Media Audit: Measure for Impact, appeared in 2013 from Springer Science Publishers. His latest book about social media fashion with passion will appear in March – grab your pre-publication 25 percent discount with free shipping now. Next post: Coca-Cola’s new marketing map – better?